One Person: 2 cans or more of soup; Two People: A new or used blanket, or 4 or more cans of food. Additional bowls of soup may be purchased for $2 per bowl. 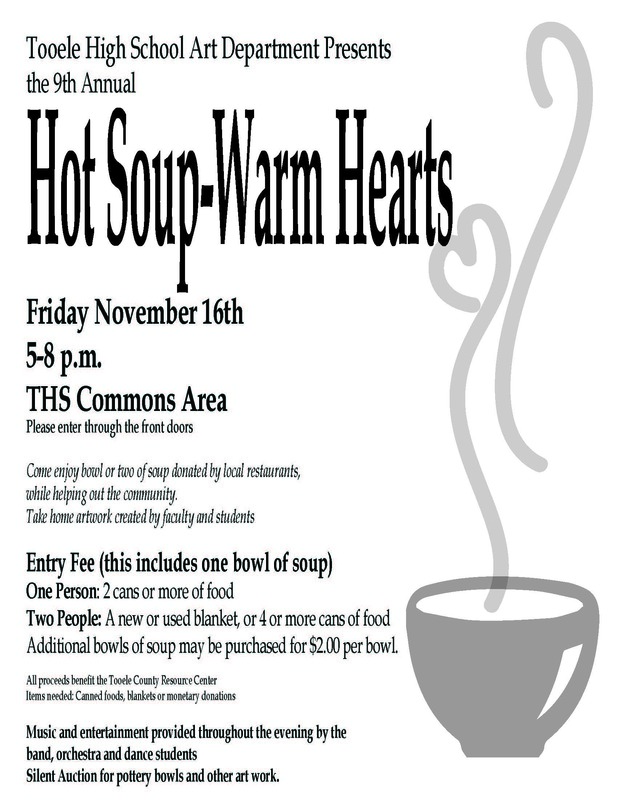 All proceeds benefit the Tooele County Resource Center.